This superb, previously unreleased DVD is a valuable historic document of the band's earliest live footage in existence. 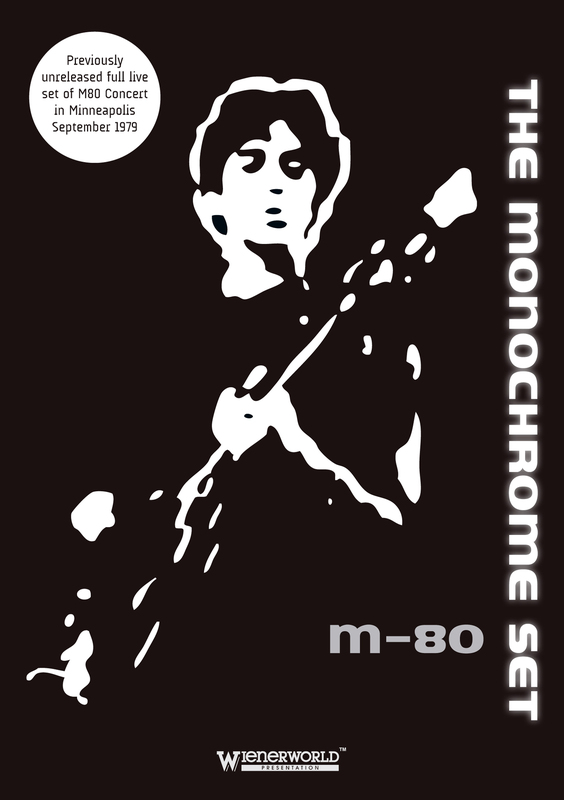 The full live set caught on camera of the American leg of the M80 concert in Minneapolis, Indiana (September 1979), offering an early candid snapshot of the group. Includes two compositions by original bassist Jeremy Harrington: Fly Me To The Moon (never before released on any format) and the early live song Viva Death Row. Complete with a 4 page pull-out booklet with amazingly revealing liner notes. 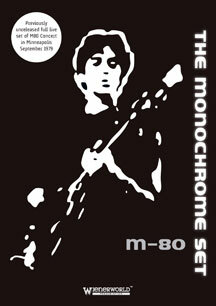 Released to coincide with the band's USA Tour in May 2013 (followed by UK and European Tours in October). The Monochrome Set originally formed in 1978 from the remnants of a college group called The B-Sides (whose members had included Stuart Goddard, a.k.a. Adam Ant). The post-punk band is notable for its witty lyrics, the laconic delivery of lead singer Bid and the idiosyncratically retrogressive playing style of original lead guitarist Lester Square. The live footage contained in this DVD is so important, not only because it offers an early candid snapshot of the group, but also because it captures a musical fire and edginess inherent to only a few bands of that era. It is both a time capsule and a true joy to witness.